We’ve all been there when we pop in to our Facebook group and all we can hear are crickets! We are now going to bring the fun to your group as we plan some Facebook games, offers and live parties, product demo workshops or even by hosting a monthly prize bingo night! I have pulled together all my top tips and strategies to make one large training post for you all to implement some of (or even all) of these ideas that work into your VIP groups BUT if you are consistent in your group your business will always be hearing crickets - consistency is the key to your business success!! Daily posts and daily actions will give you the results you deserve. Enjoy! Having a unique offer ONLY available to your ‘closed’ group members makes people WANT & NEED to be in your community. The fear of missing out on something is a very powerful thing. Have you been there, seen people joining groups or purchasing something and now you NEED it too? This is exactly the feeling you want to bring to people about your group and why your group needs to be CLOSED, it creates the FOMO effect (Fear Of Missing Out). FOMO - This is what excites people, they have to be in your VIP group to get this offer that only members of that group will get (like a monthly newsletter bonus). This is the most organic way to grow your group, so share it, promote your VIP group benefits and create that excitement and why people need to be part of your community and group. **DO NOT add people yo your group without asking.Your group will remain a cricket fest by using this method because they never wanted to be in there the first place! Your group will only get active if you invite people (pm is fab for this and much more personal) and you post content your community want to see and are loving! If you’re hearing crickets, go check out and self-audit your group. Is it full of sales posts? Not many tips or questions to your tribe? This is how you funnel people into your group. This is the same strategy when using Instagram, Twitter, Pinterest and everywhere else you have an online presence. Start engaging with ‘your people, your community, your tribe, your ideal customer’. Find out their pain points and their current struggle at the minute. Maybe you can help them with from makeup tips, some healthy recipes and share some product demonstrations. Create some VIP gift bundles and hampers, but ONLY if they are part of your community and closed group. **I see many people with OPEN groups, but what is the value to me joining it? Only that if I’m a fellow consultant I can use your un-watermarked graphics and sales ideas to get some customers, hey I may as well start using your customers too. I can see them, maybe I could send them a message with a better offer than your posting about! *And guys - this is the ultimate wrong way to be professional, but there are people out there there are many un-trained and desperate for sales who WILL do this, so lock up your groups and protect your business!! You hear it all the time from not only me but it’s all over social media, but seriously, it really is the best way to increase engagement and grow your business. There are so many ways/topics/games you can go live with and I share some more below but start to think about sharing what you actually do and what your company do with a simple pop up shop and for 5 minutes share what products you love and why. Share a makeup tutorial. If your target audience is over 40 years old, explain the benefits of that product range and how to apply eye-makeup if they have hooded eyes. Share a delivery day and open the box and explain what each product is and the benefits to your viewers, I call these my ‘pop-up shops’. Just remember not to do these every delivery as it can get a bit boring for viewers seeing you do the same thing, so mix it up and do maybe just a monthly ‘pop up shop’. Share a monthly Q & A session for 30 minutes, create an event in your group and ask people to post their questions where you can share the answers/tips live. Host a 30 minute open house party (even better if you get a booking) create an event so you can post product photo album link and answer questions, but then go live for 30 minutes, walk your ‘friends’ through your home showing your own products and explaining what they are and how to use them - set up an area in your home (like a party setting) and have a mini party! I love these, they are my favourite by far to watch and create for my own community and friends. In my own group. I have a theme a day and schedule them out for as far as ahead as I can using my favourite scheduler Cinchshare you get 7 days free HERE and after your first 7 day trial is up, you get another 30-days using the code CinchFree. '‘Using only one word, describe the best part of your day so far“ & “Comment below your birth date and let’s find your twin” these are always a good to post in your group or on your business page to increase engagement in the evening when people are relaxing and scrolling Facebook. Who is going out wining and dining at the weekend? What are you doing? Also, consider including a discount voucher if they then go on to purchase a full-size product that SAME month. All my own product testers receive a letter with written product review instructions. Purchase some organza bags from eBay or Amazon along with some 5ml and 10ml nail art/sample pots. Fill your organza bag with perhaps 3 fragrance samples, x1 10ml pot of hello honey body pudding. I use the 10ml pots for body products that need a good dollop for the touch/feel/smell element, they can then really see the quality and how it smells and feels. Print out an instruction letter on how to give feedback with the listed products (their benefits/instructions) and enclose a voucher to use off a full-size product if purchased the same moth. Limit this offer to 10 VIP’s only for the month BUT if they had a VIP sample pack the previous month they cannot take part this month and wait until next month! Your goal is to get social proof and feedback on your wall, in your group and on your business page. Testimonials are the most powerful thing to your business so make sure you are always asking for feedback and to use their testimonial in a post. Purchase company products (around 10) of various value, ideally when your company has an offer. 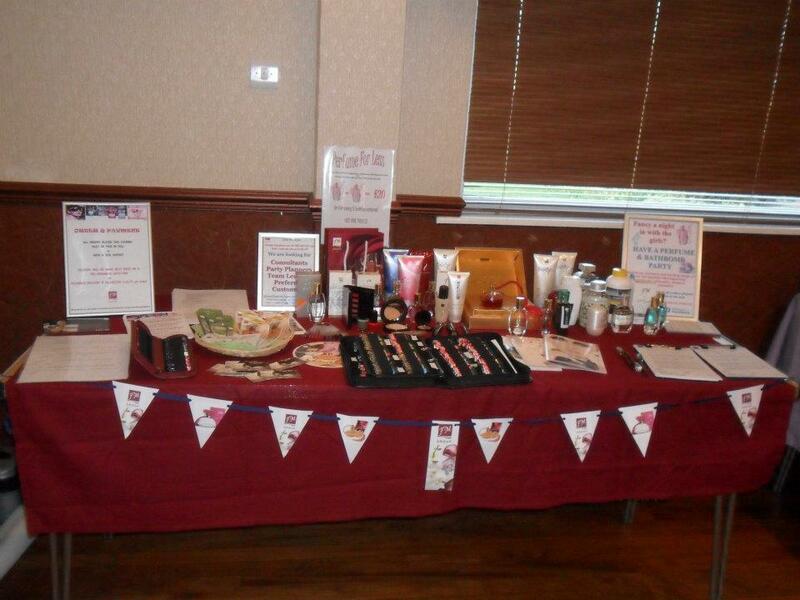 This is the perfect time to purchase some extra products to re-sell using a tombola! The cost of 2 tombola ticket’s is £5 and the value of goods (retail price) can be £13 - £30 depending on the offers your managed to grab from your companies offers. But remember you will have numbers that come out that have no gifts attached, so if someone wins nothing, give them a VIP pack to feedback & review which is still worth £5 (so they are not losing out). This would be a great start to hosting your first online party and doing this on your personal profile and showing everyone what you now do. month supply of Nutricode 'slim extreme' for £28 (rrp £60) and you can then split this pack up (remember to add the expiry date on the pack) and offer free postage for a 7-day trial pack at £15, people are testing, leaving reviews, sharing their results and you are earning! Why not raffle them off as your tombola prizes and get some great demonstration products like our top selling drain cleaner, every time I share a live demo using this product I am guaranteed sales, it is just amazing! Check it out below. Look at your 10-day offers you can make a profit on straight away. I am known to love a good themed ONLINE party and my own 80's team training was a night not to be missed and the intro was quite something else. I am not afraid to mime a good Bananarama tune! everyone else), create a fun themed party that could revolve around TV shows and create a Spotify playlist specific to your theme. How about a 90's night or a 'Friends TV Show theme' the list is endless, you just have to get a little bit creative! Party build up lasts 3-5 days (no product posts, just fun and education) then 30-45 minutes on a Sunday night at 9pm (kids in bed and your feet are up). I use Cinchshare to save and schedule all my party posts so I can then just sit back, answer questions and take the orders! Fastest finger to answer get's a point and then have a draw for the winner if there are a few of the same points. Winner win's a lucky dip product from your range and a voucher off their next purchase and a brochure. You can even get a bingo game on Amazon HERE for less than £8 and on Prime! This game has to be the all-time favourite of all my guests and even my team members when we play this in team training. I screen share my Youtube channel (I use zoom software for my Facebook lives) and then share a pre-recorded race and then the fun begins! everywhere, every week on all your other platforms. Get people excited about it and wanting to be in your group to take part. Make it a monthly (or fortnightly game) people want access to things other people can't get access too. Hi everyone, I hope you're all looking forward to Deal or No Deal. Here's how it works if you've never taken part before. A selection of items will be uploaded into an album and will remain in the event until a deal is made or the event comes to an end If you see an item you like and want to take part, simply comment on the picture with a genuine reasonable offer. We will then take your offer into consideration and comment Deal or No Deal. Please do not be offended if we say No Deal - we are simply taking into consideration our costs but we will consider all offers carefully If you get a No Deal and wish to increase your offer, simply comment again with your new offer. Offers with be dealt with in order of comments. Payments can be made via PayPal, Bank Transfer, Cheque, 'un-crossed' Postal Order or Payment Plan. Payments must be made within 48 hours of the event ending to avoid the order being cancelled unless otherwise agreed by messaging us. Did you enjoy my article, I’d love for you to pin the image below on Pinterest? Which idea to get your Facebook group active again will you try first?